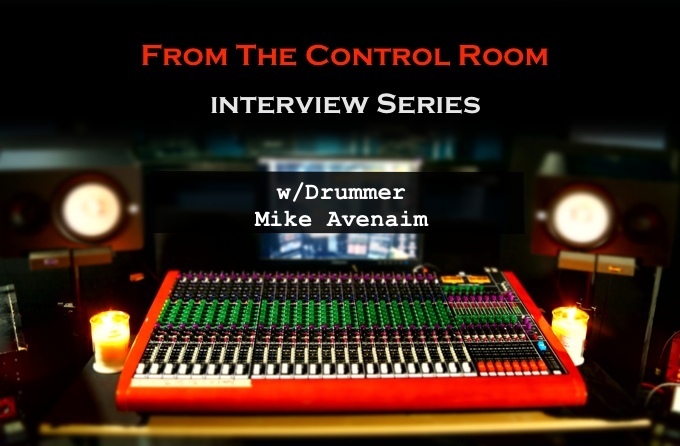 A few days before hitting the road with Emblem3 for their fall tour, drummer Mike Avenaim stopped by the studio for a quick interview. He talks about why he likes recording his drum tracks at Ultimate Rhythm Studios, how he prepares for sessions, how he developed his sound, and tips for drummers new to the studio. Mike has some good advice about working in the studio! Mike has done several records with engineer Charlie Waymire at Ultimate Rhythm Studios including: Jordan Millar’s “Cold Lights On Curious Minds”, heart.beats.mind debut self-titled EP, and Reese Mastin’s “Beautiful Nightmare”, to name a few. “Mike is a fantastic drummer and is very easy to work with. He comes in the studio very prepared and has all of his sounds pretty much dialed in. All I have to do is capture his sound without missing anything. It makes for some fun sessions!” says Charlie. Visit www.MikeAvenaim.com for more information about Mike including tour dates. Be sure to visit the Ultimate Rhythm Studios YouTube channel and subscribe! Leslie Jones of Right Hand Rule stopped by the studio recently for an interview. He discusses working at Ultimate Rhythm Studios, the writing process, playing multiple instruments, and other insights about Right Hand Rule. The band features Leslie Jones (vocals/percussion/sax/flute), Pharoah Barrett (bass/vocals), Rob Thrall (guitars), Scott McPike (drums), and Mo Beeks (keys), as well as a horn section.